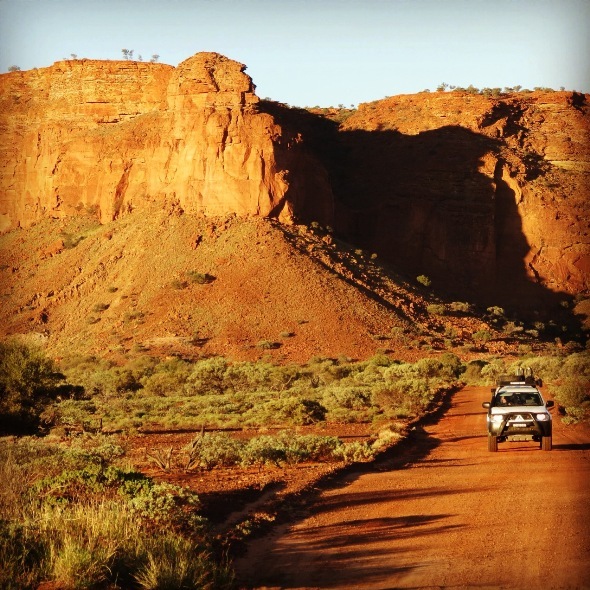 Planning on driving around Australia? 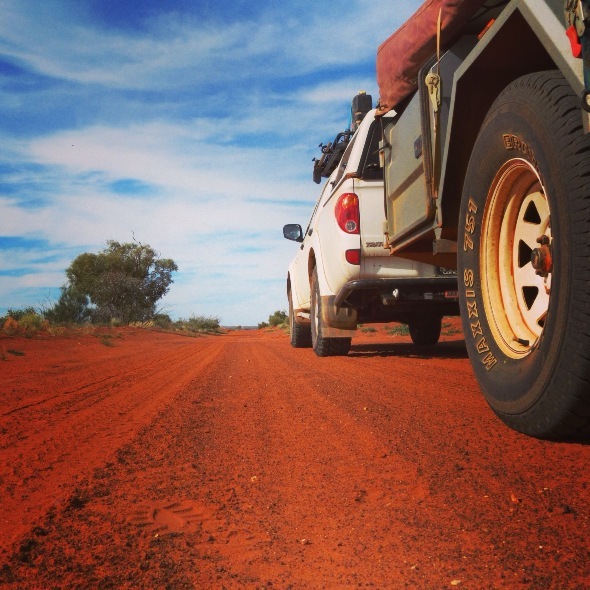 Want to hit the open road or the road less travelled? Or perhaps you just enjoy looking at stunning images of Australia’s diverse landscape, from the burnt orange outback to the pounding aquamarine surf? 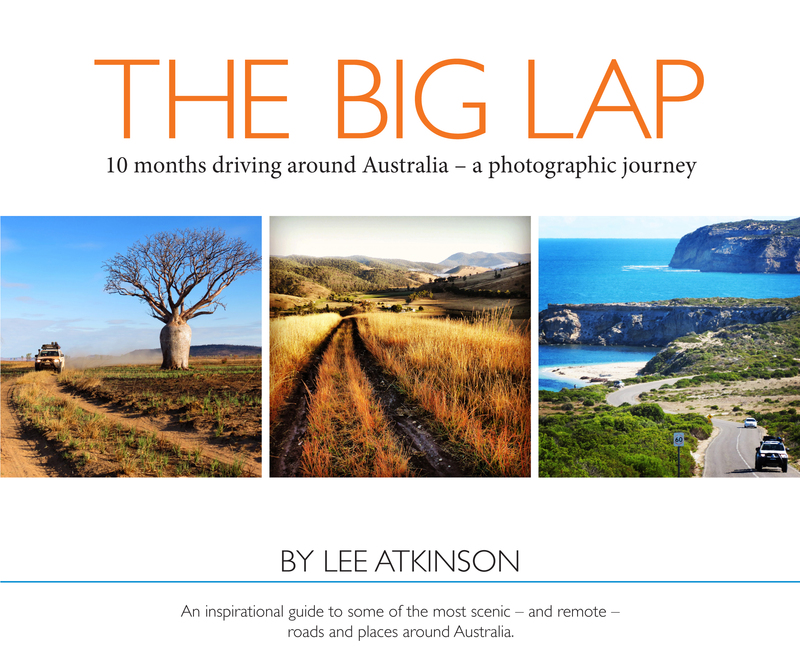 Then you will love the idea of this new book, The Big Lap, by Australian travel journalist Lee Atkinson, who with her partner, Bill, recently completed a 10-month, 40,000km lap around Australia towing a camper trailer. “We took the road less travelled whenever we could, camping in national parks and other wild places where few other travellers go,” says Lee. During their trip Lee, an accomplished photographer, shared her inspirational images via social media (some of which are featured here) and I waited eagerly for each new photo. Many included their vehicle picturesquely captured trailing dust on a curvy stretch of road and I wondered just how many times they had to drive that section to get the perfect shot! Now Lee is using those images to create a pictorial diary of their journey. The Big Lap is a softcover 17 cm x 20cm book with 144 full-colour pages with detailed captions telling the stories behind the images. But it’s more than just a gorgeous coffee table book. Lee has already had 12 travel books published, but says this one is special. “It’s as much about sharing all the wonder and adventure of a trip of a lifetime as it is a guide book,” she says. “It’s much more personal than my other books.” Consequently, she has chosen to self-publish it, so she can produce the book she wants, rather than what publishers think will sell the most copies. But self-publishing has its financial risks, so Lee has chosen to crowd-fund the book through Pozible, “So no trees die in vain,” she says. When published, the book will sell for around $35, but if you pledge to buy via Pozible you can get a signed copy for just $25. 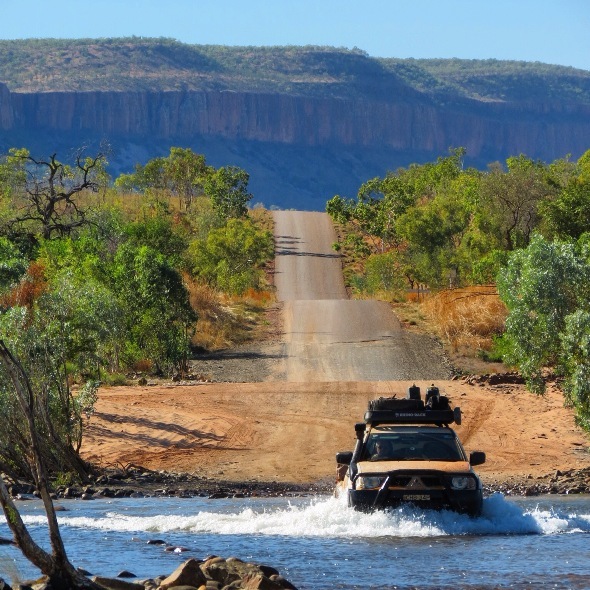 If you are planning your own big lap, then you can invest in the Roadtrippers Special, which includes a personalised itinerary planning consultation with Lee. Like many Aussies, my husband and I plan to do our own big lap one day, also getting off the tourist trails, so I’m eager to learn from Lee’s experience and have already ordered my copy. So head over to Pozible to order yours now, as the deadline for pledges is 9th April. Disclaimer: Lee Atkinson is a friend, colleague and fellow member of the Australian Society of Travel Writers, but I am paying for my own signed copy of The Big Lap. 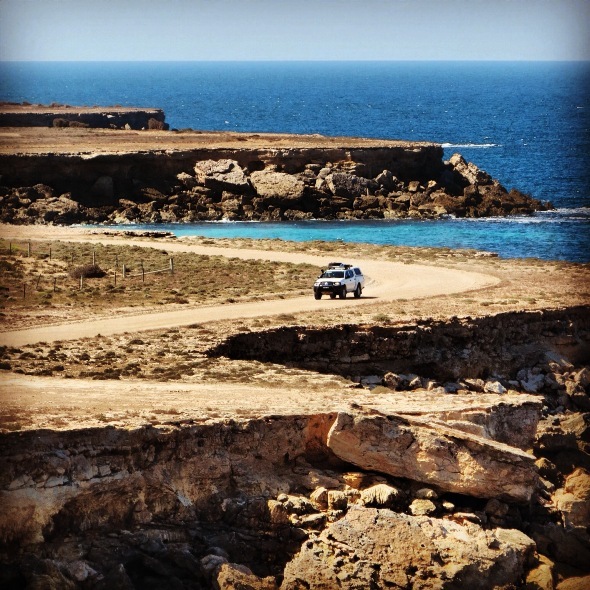 This entry was posted in Adventure, Australia, Road Trips, Travel, Travel News, Travel News & Events and tagged Australia, Big Lap, driving guide, driving holidays, Lee Atkinson, photographic book, road trip, the big lap. Bookmark the permalink. I’ve ordered one too! Can’t wait to see it. I was also an avid follower of their trip, and the photos just made me want to leap in the car and head off into the wild blue. I can relate to that Lee. The images are so evocative aren’t they? Australia certainly is a stunning continent. These photos definitely give envy to packing the car and doing a trip around Oz. Beautiful photos. Yes, the photos are very inspiring aren’t they. Yes, Lee’s images are definitely inspiring. It certainly does Sarah and Shaun. Can’t wait to see it. These are truly epic photos; I’ll have to check the book out!